What do you have on your prep list for the day? A how to guide on meal prepping and planning for an entire week – including what to make ahead, how to save time, and all the recipes you need! A menu for a full five days of snacks, lunches, and dinner, and the grocery list to go along! 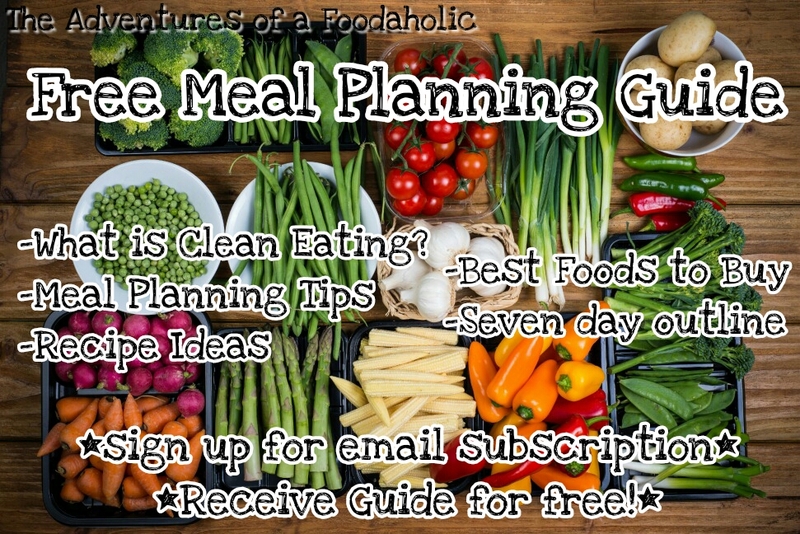 Are you interested in trying meal planning and prepping, but no idea where to start? Let me help! July 13, 2016 Categories Clean Eating, LifestyleLeave a Comment on Free content! Are you wondering how to start planning meals and eating clean on a more regular basis? Let me help! I’ll be the first to admit I don’t eat clean 100% of the time, but life is about balance! My guide can help you understand how to achieve that balance in a happy and healthy way. By signing up for email subscription to my blog, you will not only receive notifications when new recipes are posted, but as my thank you to you, you will receive my meal planning guide! You’ll learn what clean eating really means, how to shop, how to plan out a full week’s worth of meals, and even some of my favorite go to recipes! Simply click on the button on the right hand side of the page that says subscribe, and I will forward the guide on to you!